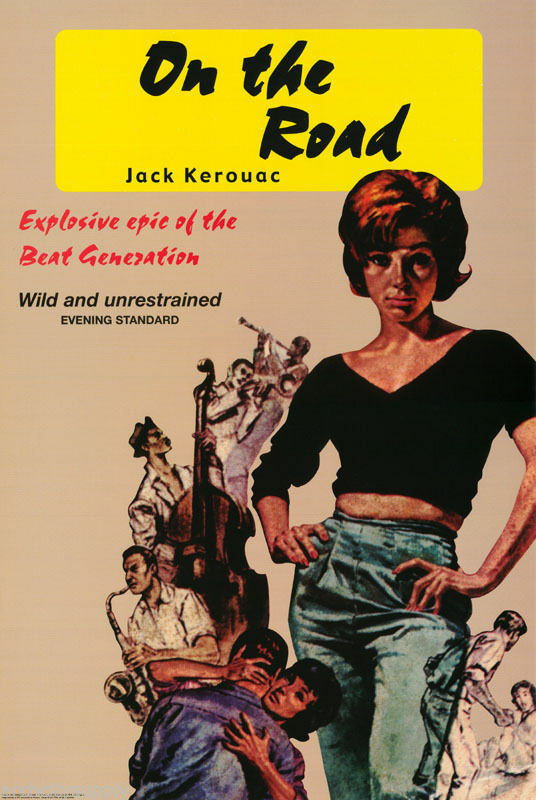 Editor’s note: Burning Furiously Beautiful: The True Story of Jack Kerouac’s On the Road is an accurate, up-to-date account of the development of Jack Kerouac’s groundbreaking 1957 novel, On the Road. Using archival resources as the foundation of this book, Kerouac scholars Paul Maher Jr. (author of Kerouac: His Life and Work; editor Empty Phantoms: Interviews and Encounters with Jack Kerouac) and Stephanie Nikolopoulos have fashioned a gripping account of the internal and external experiences of Kerouac’s literary development. We’re glad to have the opportunity to share this excerpt from the newly-published book with you. In the thick of training, when all individuality was stripped and the military machine had demoralized him, Sebastian concluded that there wasn’t all that much “comradeship.” The routine he was crudely thrust into was relentless: he was awakened by six o’clock every morning to face a day’s worth of calisthenics, infantry drills, manual of arms, bivouac training, first aid training, inspection of arms, and personal hygiene. There would be no possible furlough for at least six months. Minutes before lights out on January 6, Sebastian wrote that he had taken a twelve-mile hike with full field packs on their backs. He wondered what Jack was doing right then, and was he, too, lonely for enriching conversation? Would they ever walk the streets of Paris? Was Jack still the “brooding dreamer”? In Lowell, Jack had begun handwriting his sea novel. After much preparatory note taking and false starts, The Sea Is My Brother evolved into a novel-in-earnest, unfettered by academic or familial obligation. It was, for him, the book that had to be written representing a set of ideals he staked in real life. He was obsessed with the dualism of flesh and spirit, the phenomenon of the human condition. Moving along in a free-flowing torrent of ideas, he wrought a scattershot portrait of his mindset. He wondered about spiritual movements and the power of love. Love was pure, capable of directing justice, beauty, and truth. The Sea Is My Brother splits its narrative between two characters: a Columbia professor named Bill Everhart and a working-class sailor named Wesley Martin. The professor gives in to Martin, and they hitchhike to Boston, where he joins the Merchant Marine. They sign on to the S.S. Westminster, which is scheduled to sail to Greenland to unload a shipment of war supplies and personnel. Kerouac was under Wolfe’s sway; his ability to write of the “essential and everlasting America” infused him with a fresh sensibility. This was an America that extended beyond mere patriotism. It was the duty of American writers to address what was “essential” and how it was “everlasting.” This, he wrote in the letter, was his path for now. Ryan would never read the letter, not only because it wasn’t mailed, but because he died in the South Pacific during the war. During one cold midnight on March 4th, Kerouac was fiercely determined to complete the novel, telling himself in his journal that he would do so against all odds. He felt the world around him was moving in; cold, unrelenting, unwilling to give him time any longer. Should the Navy finally “get” him, he would finish the novel in hell if need be. By mid January 1943, Sebastian was desperate for intellectual stimulation. A mundane task as simple as guard duty allowed him the opportunity to observe the prisoners opposite him. Only a wire mesh delineating the “good” from the “bad.” He listened to a prisoner tell him, and the world at large, “You are the prisoners, not I.” Sebastian pondered that, writing Jack, “Are they not our brothers, Jack?” Further inspired, he wrote a poem he titled “Guard Detail.” Eventually he assumed a better perspective of his comrades and turned his focus on Jack. He was upset at Kerouac’s disassociation from their Lowell friends. Furthermore, he had a growing concern for Jack not returning his letters, feeling isolated despite the growing numbers of young men joining him in training. In less than five weeks, Sebastian expected to be shipping out of Camp Lee to an unknown destination. Ultimately he learned, that he would be transported to northern Africa. In February, Kerouac found a job parking cars at the Hotel Garage on Middlesex Street in Lowell, a job that amplified his ineptness at the wheel of an automobile. Though he despised being at the “beck and call” of paying customers, it did offer plenty of time to read. He still harbored consternation that he hadn’t heard from the Navy and was hopeful that they maybe had forgotten him. If so, he promised Sebastian that he would visit him within the next month. Sebastian sensed Kerouac’s unhappiness, but was happy that maybe they could see one another again. His health had improved, though he did have his molars removed. Another spell of Kerouac’s absence was interrupted in early March when Sebastian received a drunken missive from Jack imploring him, “Do not die, live!” Sebastian harbored those very same concerns, inscribing into his journal loosely from memory the closing pages of Thomas Wolfe’s posthumous novel, You Can’t Go Home Again: “to leave the friends you love for greater love, to find a land more rich than earth, more kind than home.…” True, he was far from home, and the further away Sebastian moved, the more dismal was his view of humanity. He was disgusted by the southern “white trash” in Greenville, Pennsylvania. The freezing conditions—he slept in a pup tent outdoors—and cleaning latrines made it a “hell-hole.” He wrote to Kerouac that one-third of the soldiers had gone AWOL and that there was an average of two suicides every three days. One of them was found only the day before he wrote Kerouac in March: a nineteen year old swinging by his neck in the latrine. In his Crawford Street home, Kerouac’s spirits dropped at the probability that he was to be classified 1-A, meaning he would be eligible for active duty. Most of his friends had already shipped out leaving him to walk the streets of Lowell alone or to stay at his desk and write. By his own estimation, his writing of The Sea Is My Brother eventually consumed long drawn-out hours at his desk every day of the week. He wanted to complete the novel before he received any notice from the Navy, suspecting that they would appear on his doorstep any day now. He grew sick with measles and ran a fever that, despite the drawback to his health, would postpone the Navy only by a few days. In the mail he received a package from Sebastian. It was a vinyl recording of him reading from Thomas Wolfe. The recording saddened Gabrielle and she bemoaned the awful realities of the war. Though Gabe had been partially influenced by her husband to harbor less-than-savory opinions about Sebastian, in his absence she reflected differently. Kerouac returned the favor by sending Sebastian his completed handwritten novel. Eagerly he awaited Sebastian’s critique, confident that he was about to impress him with his plethora of new work. Then the call of duty came. On March 21, 1943, the morning before he was to report for duty in Newport, Rhode Island, Jack was alone in his house. His mother had gone to Brooklyn for family business, his father was working in Connecticut, and newly divorced Nin had joined the WACs. He began writing another letter to Sebastian, spinning words by turns melancholic and tender as a confessional missive. The truth of the war stamped itself indelibly and threw him into a blind panic. Espousing a love for humanity, he went to Pawtucketville’s Saint Jeanne d’Arc church—the same where he, according to his novel Maggie Cassidy, “prayed […] for the grace of her love” and, later, “on the great gray day of November 21, 1954,” arrived on the profound meaning of being beatific—and prayed. He was on the verge of weeping, he wrote Sebastian. The house felt alone for it lacked the rhythm of life. The war had splintered the Kerouacs, and he dreaded that soon he would become just another casualty. Reporting to Newport on the 22nd, he missed Sebastian by only a few weeks when he returned on Easter furlough for the last time. Sebastian had less than one year to live before the same thoughts that plagued Kerouac would strike him down. Jack Kerouac took a train from Boston to Newport with a band of fresh recruits. On his first day in Newport, hundreds of young men stood in line waiting to fill out their shipping tags to ship their civilian clothing and personal effects back home. They were a mixed bag of everything representing America: they came from Brooklyn, the Bronx, the Deep South, and the mysterious West. Their dialects, accents, and inflections hinted a multitude of races and social classes, but in the vast, cold room of the gymnasium, they were stripped of their autonomous identity in one fell swoop. Clad in nothing but boxer shorts, the men’s feet, inseam, waist, hands, head, and chest were measured for boots, pants, gloves, hats, and shirts. Being issued military clothing took several hours as they stood in a long line that inched forward. They retired for breakfast where two uniformed sentries stood at the door checking the recruits’ trays were clean; they had to eat everything they asked for before leaving. They were given a military buzz cut and handed “ditty” bags containing toothpaste, one bar of soap, and dental floss. They endured an endless series of shots: typhoid, influenza, tetanus, diphtheria, and polio vaccinations before being handed pay chits in lieu of money for incidental spending. Their teeth were probed and tooth charts were made to help identify them if they were blown apart on the battlefield. They checked their vision with a color test and prescriptions for eyeglasses were filled if needed. Once this process was completed, the men were prepared for boot camp training. From the beginning of this new experience, Kerouac in all likelihood already felt the grip of the military tearing asunder his individuality. Placed in Company 773, Kerouac was ready to quit on the very first day. He endured standard drill instruction and calisthenics, experiencing the same regimen of physical conditioning as Sebastian. The one exception was that Kerouac was tested for his swimming abilities, and the results were written in his personnel records: “Qualified in recruit swimming. Ability to swim 50 yards, to tread water, and to float on back with motion.” Kerouac’s athleticism more than likely made the rest of his physical conditioning a breeze. The issues he faced, however, were psychological. He was placed on trial duty status “due to his abnormal conduct” after he began complaining of headaches. He was placed under observation only mere days after entering. Over the years, Kerouac had a tendency to exaggerate his conflict with the military, sometimes claiming that he “belted” an officer who told him to put out his cigarette, other times that he laid his rifle down in the dust and walked to the base library to read. Whatever actually happened was not noted in his Navy records. It simply states that he was “Admitted for treatment, not misconduct” less than a month after he began training. Returned to his company on trial duty status, again he complained of headaches. On April 2 he was readmitted to sick bay: “at recruit re-examination he exhibited vague, disconnected thoughts; he rambled in a grandiose, philosophical manner; displayed auditory and visual hallucinations.” On the Report of Medical Survey of May 14, 1943, they described Kerouac’s initial complications: “This patient was readmitted to the sick list on April 2, 1943 at the U.S. Naval Training Station, Newport, R.I. with ‘Diagnosis Undetermined’ (dementia praecox) because, at recruit examination he was recognized as sufficiently abnormal to warrant trial duty status. At that activity before the expiration of his trial period neuropsychiatric examination revealed auditory hallucinations, ideas of reference and suicide; and a rambling, grandiose, philosophical manner.” This was a misdiagnosis, as noted later in the records. Kerouac had been laying it on thick, building a case for himself, possibly from what he learned from Austrian psychologist Alfred Adler’s book, The Neurotic Constitution. Writing to a Lowell friend Cornelius “Connie” Murphy, Kerouac seemed well apprised of the psychological dynamics of his case, denouncing it as a “farce.” In Kerouac’s estimate, it was “simply a matter of maladjustment” with military life and to this he felt little shame. He was eager to sign on with the Merchant Marines once he was discharged. The doctor continued to probe, looking for signs of any aberration, like a tendency of homosexuality. Kerouac told him that he wasn’t in love with any one girl and had no plans for marriage. His casual relations with women remained sexual. He tended to bond more with his male companions. Kerouac also divulged his obsession with writing and reading. The doctor’s diagnosis was that Kerouac suffered in part by “extreme preoccupation.” When the doctor asked of any “unreal ideas,” Kerouac continued to pour it on “thick,” blurting out Ambrose Bierce’s mysticism and that of Edgar Allan Poe, Samuel Coleridge, and Thomas De Quincey’s Confessions of an English Opium Eater. Did he experience any “bizarre hallucinations”? Kerouac assured that he did, and not only voices, but a chorus of voices that accused him of misdeeds throughout the night. Did he ever experience any bizarre behavior? Kerouac gave the doctor a greatest hits rendition of the past few years: quitting college; going on a drinking spree in Washington, D.C.; working and quitting several menial jobs; quitting Officer’s Training School at Columbia; spending the bulk of his time writing; and allowing himself the luxury of experience as fodder for writing, “sacrificing myself on the altar of Art.” Kerouac wasn’t fazed by the doctor’s questions. His only exception to this was the label of “bizarre delusions” since it also meant that nobody would take him or his writing seriously. When he asked for a typewriter to work on his novel, they “humoured” him by giving him one. This was all noted in the official report, confidently assuring the doctor that a diagnosis of dementia praecox—deteriorating cognition—was the right one. On Easter Sunday night, Sebastian stood outside the gates of the Naval Training Center after he was refused entry by the guards. He was trying to visit Jack. He had been keeping up a steady stream of letters, all of them encouraging and arguing the merits of poetry. They served to boost Kerouac’s morale, in one case quoting the English novelist Hugh Walpole, who had earned a Georgian Medal for his rescue of a wounded soldier during World War I: “T’isn’t life that matters, but the courage you bring to it.” Sebastian returned home before shipping out for good to North Africa. Kerouac read the findings of the Board of Medical Survey: “your present disability, Constitutional Psychopathic State, Schizoid Personality, #1543, to have existed prior to your reporting for active duty in the U.S. Naval Reserve, and was not aggravated by service conditions.” He agreed with these findings and, without further statement, signed off as John Louis Kerouac. He was honorably discharged on June 30, 1943, and given travel allowance to return home.